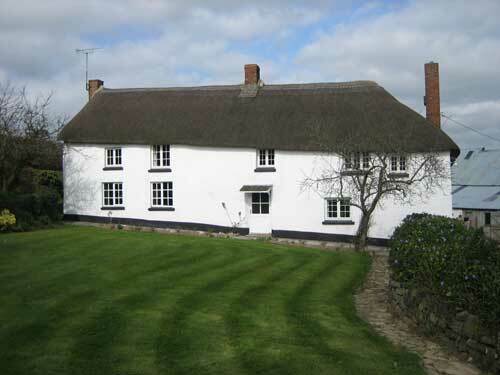 GRENDON is a family farmhouse bed and breakfast located in mid Devon with very easy access from the A30. The thatched house is of mediaeval/Tudor origin with many outstanding features and a warm friendly atmosphere. Enjoy the surrounding farmland on the edge of Dartmoor, with moorland and river walks and nearby National Trust properties. Use of hard tennis court. Dinner by arrangement. Organically grown produce used whenever possible. If you are looking for a convenient stopover point on your way down to Cornwall, Grendon Farmhouse is an ideal location being just 1 mile off the A30.